Horse’s require dental intervention because they have a special type of tooth which grows, or erupts, continuously. As a result of this, horses will at some point, develop abnormalities in the mouth which left untreated can have detrimental effects. Abnormalities in the mouth can cause significant pain, both when being ridden but also when grazing. All horses in time develop sharp enamel points. This is a normal development because of the motion of chewing, the continual eruption of teeth and the anatomy of the top and bottom jaw. Despite this being a normal change, the use of horses for riding and modern feeding habits has led to the necessity for dental intervention. Sharp points over time can cause ulcerations to the cheeks and tongue, causing pain during feeding and riding. The treatment of sharp enamel points involves the floating of teeth. Accredited veterinarians use a Power Float, a battery operated rasp, allowing for fast and accurate correction of the teeth. The first part of a thorough dental procedure is to conduct a full examination. Your veterinarian is trained and authorised to use sedation, pain relief and antibiotics when required. This allows dental procedures to be carried out in a manner that minimises stress and pain, enabling a thorough job to be conducted and the right treatment advice to be given. “wolf teeth” which are a small tooth at the start of the cheek which impacts the mouthing/bitting of young horses. 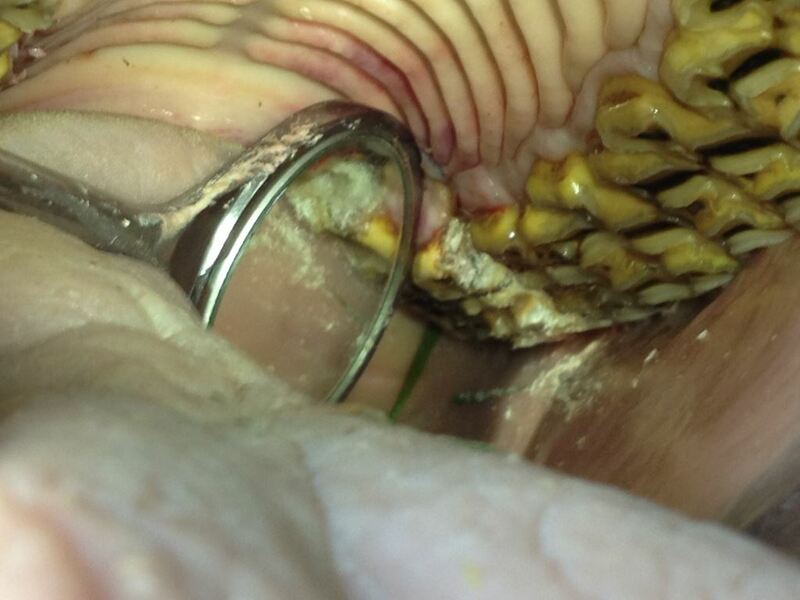 A full examination of horse’s teeth should be conducted every 6-12 months depending on individual cases. Examination of young horses’ teeth (2-5 yr old) allows for developmental problems to be recognised and managed before deteriorating further. A dental examination and floating can be done on your property.